In an actual production plant, huge volumes of products are manufactured using mold, dies and casts. But have you ever wondered how molds, dies and casts are manufactured. They are manufactured using Powershape and CAM software like PowerMill. Powershape is used to design and model the complex parts. Powershape integrates tightly with PowerMill (CAM software). Powershape combines surface, solid and mesh modeling. 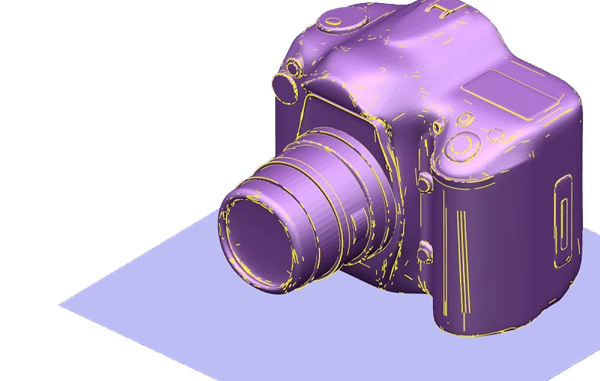 The course objective is to learn the game changing features of Powershape like designing the molds, dies and casts, Electrical Discharge Machining (EDM), Autodesk Drive and Autodesk intuitive interface etc. You will also gain an insight into the CAM functionality and its integration with Powershape. We will help you get accustomed to the new ribbon interface of Powershape, which is intuitive and helps you in learning more about CAD than focusing on the nuances of the software. Learning from the best authorized Autodesk training partner is in itself a great opportunity. Autodesk is a leading CAD/CAM software giant and is adopting to the new technology fast. With advancement in new technology and software, it is pertinent to learn the new CAD/CAM softwares like Powershape. This course will be of immense help to the engineers who wish to venture in the market with the latest skill set. Wizcrafter is a leading training institute active for the past five years, enhancing day by day the level of CAD training standards across the country through its unparalleled commitment to give its learning partners the best in class service and experience. We are an authorized training partner with Autodesk and Trimble and have been accredited by them for providing CAD/CAM training. We have alliance with more than 15 premier companies who have trusted us as their business and learning partner. With Wizcrafter you will get an extra thrust to your career as our committed group of professionals and trainers will always be there to help you. We will help you in realizing your true potential and reach to the pinnacle of your career. Our relentless hard work and steadfast determination will guarantee you that you touch the acme of your career. We have adopted a 360 degree feedback mechanism that ensures that you get an opportunity to rate your trainer. This helps us in pursing excellence in our training methodology. Passion and perseverance are the two primary qualities that we look for in a student, because if you have these you will definitely be able to get a taste of success. We essentially look for people who have grit to learn the new software and technology. Whether you are a new college pass out or an experienced professional looking to upgrade their knowledge and skills, we are there to help you make your statement in the market.